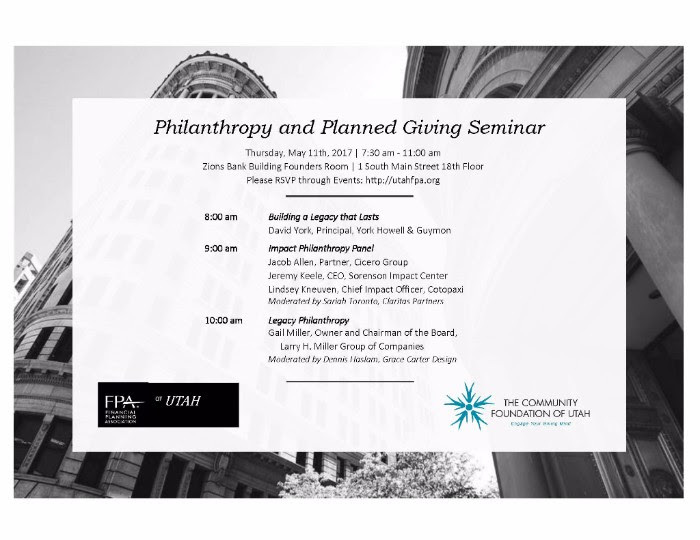 We are thrilled to be co-hosting the annual Philanthropy and Planned Giving Seminar with the Financial Planning Association of Utah on May 11th, 2017! This year's event features an exciting slate of presenters and experts, including Gail Miller, David York, Jacob Allen, Jeremy Keele, Lindsey Kneuven, Sariah Toronto, and Dennis Haslam. Space is limited, so RSVP at your earliest convenience. Visit the event page for more details. A few of our scholarships have extended their application deadlines. Do you know someone who participates in Job Corps? A volunteer in the Natural History Museum of Utah's Youth Teaching Youth program? Or a senior at Highland, Cottonwood, or Olympus High Schools? Please encourage them to apply! The COG Scholarship - Due May 15 - Supports graduating high school seniors from Highland, Cottonwood, or Olympus High School. Dr. F. Craig Sudbury Memorial Scholarship - Due May 15 - Helps recent graduates of the Job Corps program attend college. NHMU Youth Teaching Youth Scholarship - Due May 12 - Supports the higher education of participants and graduates of the Natural History Museum of Utah's Youth Teaching Youth Program. Internationally-recognized crowdfunding expert (and Community Foundation of Utah Board Member) Devin Thorpe is holding a full-day nonprofit crowdfunding training this Friday, May 5th. In this intensive, hands-on workshop you will learn how you can raise more money for your nonprofit. Lunch is included. Use the code UtahCF when you register for a 30% discount. Sales end Thursday, so sign up today! We've extended the deadline to apply for our Salt Lake City Youth Athletic Scholarship Grant. 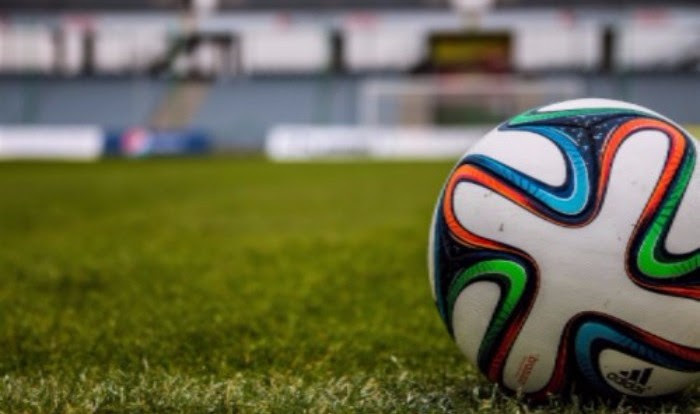 This scholarship aims to make competitive sports programs more accessible for low-income Salt Lake City youth by providing individual athletic scholarships through teams, clubs, and athletic organizations. Know a nonprofit competitive sports organization you think should apply? Applications are due this Friday and will reopen again in the fall. Click here to learn more and apply. Copyright © 2017 Community Foundation of Utah, All rights reserved. You are receiving this email because you subscribed to it or have been in contact with the Community Foundation of Utah.